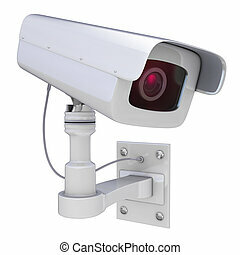 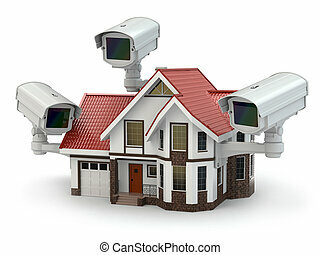 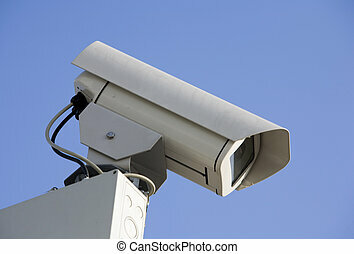 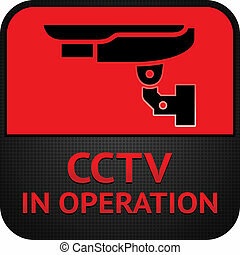 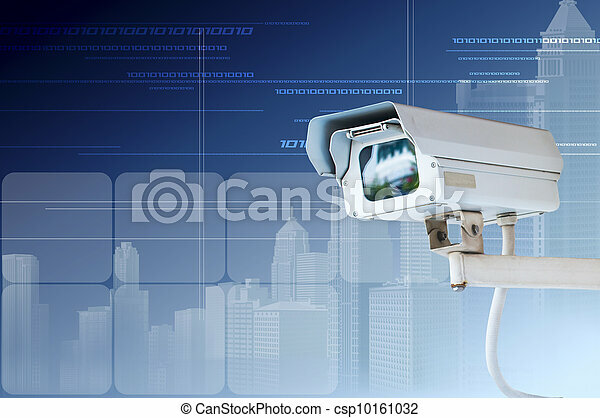 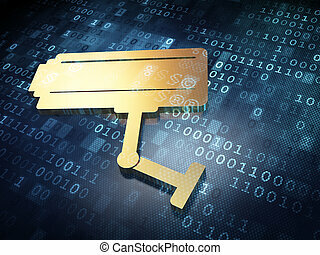 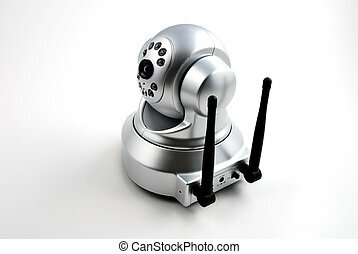 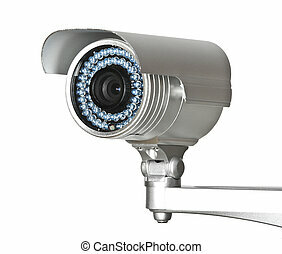 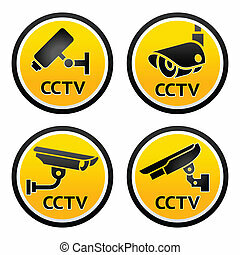 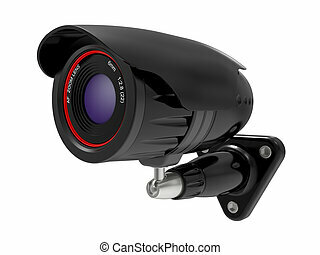 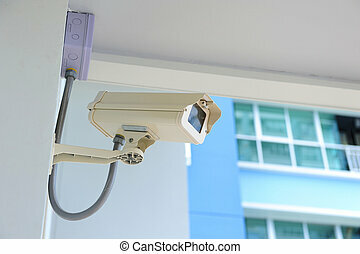 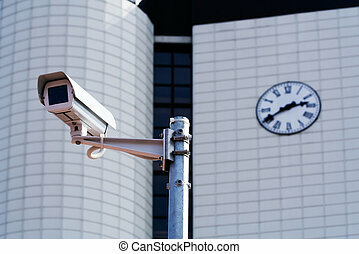 Security camera or cctv on digital background. 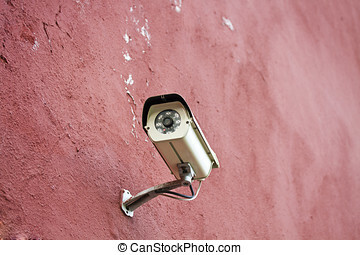 CCTV security camera against a city building. 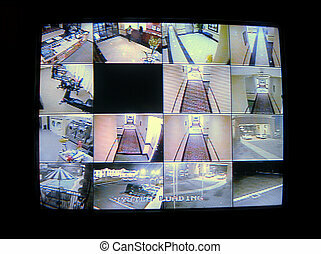 Security camera detects the movement of traffic. 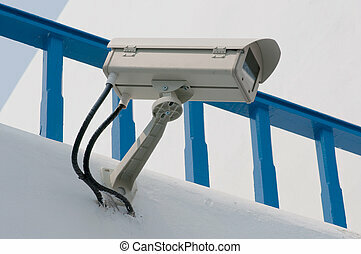 Skyscraper rooftop.